Additional music includes original songs such as, Cant Smile Without Ewe, and the all-new silly song, The 8 Polish Foods of Christmas. It includes special bonus content and activities and helps to teach important lessons about giving to others and the power of forgiveness. - Behind the Music of "The Little Drummer Boy"
- Visit a Drum Factory with Junior! - Interactive Book Preview: "Christmas is Finally Here"
Created for children aged 3-7, younger children will enjoy the lively and colourful animations, while older children will engage with the sensitive retelling of the familiar Bible story rediscovering its real message. This DVD is Region 0, and will play on a UK DVD player. Little Drummer Boy DVD by Veggie Tales was published by Authentic in October 2011 and is our 13129th best seller. 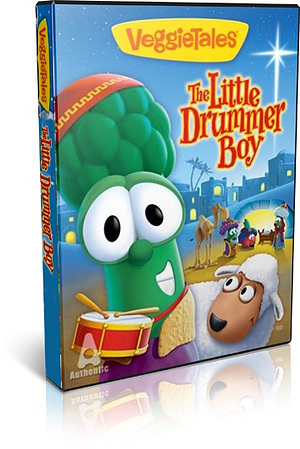 The ISBN for Little Drummer Boy DVD is 5060256820697. Be the first to review Little Drummer Boy DVD! Got a question? No problem! Just click here to ask us about Little Drummer Boy DVD.